Autumn and Winter Interior Design Trends 2017. 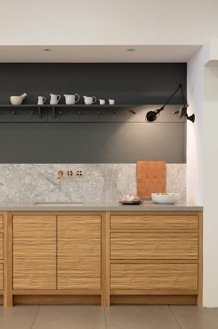 Forget Fashion Week, we’re more excited about the latest colour palettes, textures and materials for homes. Here’s our round-up of the trends to watch out for as the days get shorter. Minimalist pastels are a popular choice in 2017 and look to stay on for next year. 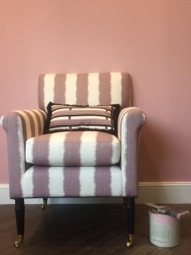 Increasing in popularity are pinks, a surprisingly versatile shade that can create real harmony in the home. Paint The Town Green’s exclusive Nicky Haslam range features Peridot. Inspired by gems and minerals, in keeping with Paint The Town Green’s eco-friendly ethos, Peridot is a stony natural pink described by Nicky Haslam as “a kind of masculine pink”. 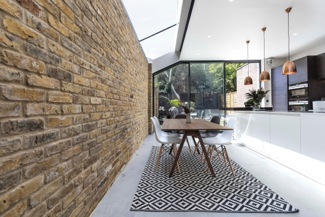 Our love of vast expanses of glass in oversized windows and doors is going nowhere. Thank goodness then for these sophisticated floor-to-ceiling shutters, offering a solution for privacy without disturbing flow and light. New for this season, this Manhattan design from The New England Shutter Company allows you to operate the blades using your fingertips! 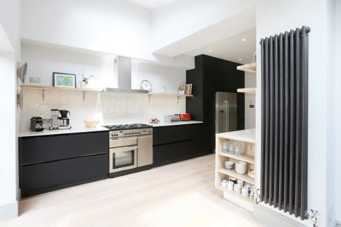 CREDIT: Bespoke kitchens start at £35,000. Burgundy and pink will be a big colour in interiors. 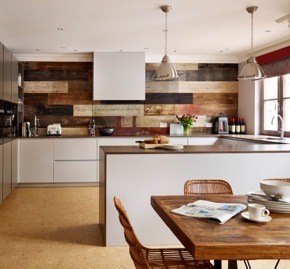 “Interiors often go hand in hand with fashion trends and these colours are huge at the moment,” says Emma Green from Emma Green Design. 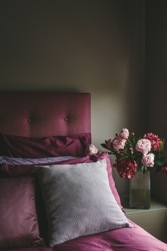 Dark moody tones featuring burgundy and cherry colours offset with lighter pinks creates a successful interiors scheme. Within the florals, pastels and rich jewel tones littering our interiors inspiration, monochrome is going nowhere and lends itself to many rooms in the house. 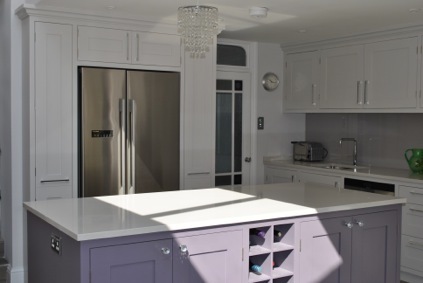 Claire Burrage from Clara Bee recently created this black and white kitchen scheme, softened with reflective geometric tiling and light oak flooring.